The Magic Lantern web-site has sufficient explanation of installing and using the firmware, but I thought I would lend a bit of personal insight to encourage you to try it. Make sure your camera’s firmware is up to date. Download and unpack all the files into the root directory of an SD-card (or CompactFlash, if that’s what your camera uses). Insert the card into the camera and use the firmware update menu to update. The update just takes a few seconds (shorter than updating firmware from the factory because it isn’t replacing the camera’s built-in firmware). Configure the features you will use. 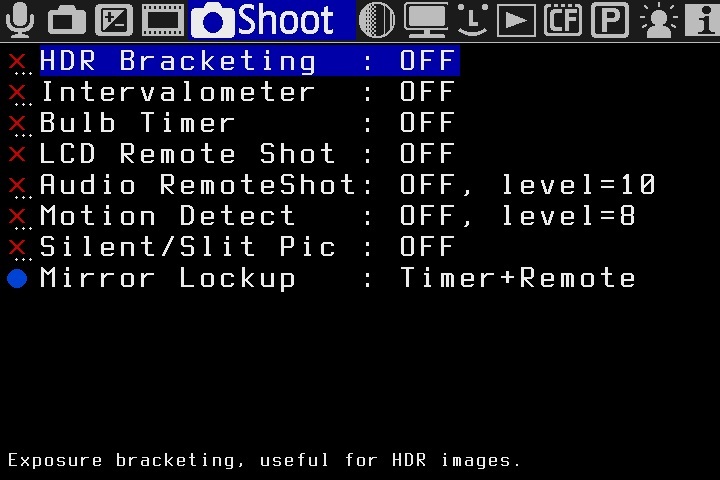 Magic Lantern does not install itself in the camera, it runs from the storage card (e.g., SD-memory card) directly. While this slows down the camera’s startup time, a bit, it means that you can completely bypass Magic Lantern by inserting a card that does not have the software on it (you can also disable it on the same card, if you don’t have a spare handy). 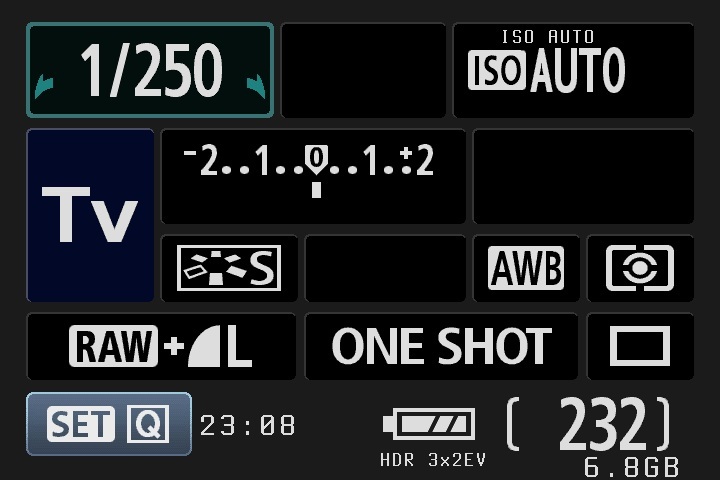 At this point, anytime that card is inserted into the camera, the Magic Lantern features will be available. You’ll need to go through these steps for each card you use, in order to have those features available, regardless of which card is being used. Also, after you’ve configured how you want the firmware to behave—on one card—you might want to copy its configuration file (magic.cfg) to all the other cards so that the settings are consistent across them all. Now go play. And have the user guide handy (though help is included in the camera menus, as well). If you don’t want to wade through their course documentation, read on. Some of the usage controls are a bit confusing. Since some of them weren’t immediately obvious to me. 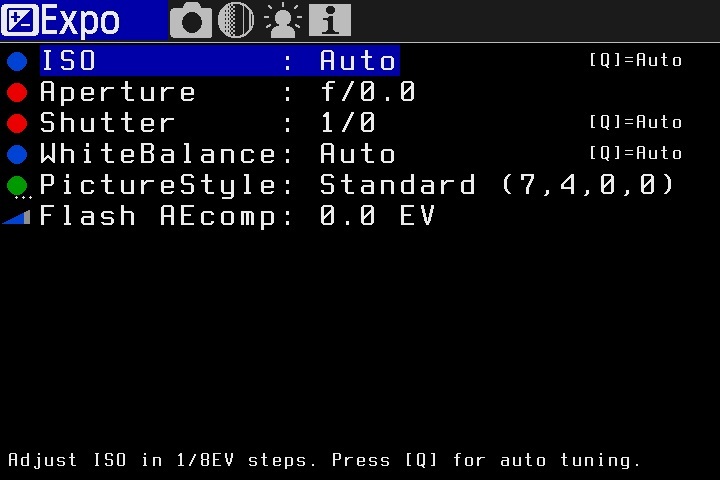 The Magic Lantern menus are not integrated into the standard menus; instead, press the [Trash] button, while the standard screen is displayed on the LCD, to enter the menus. Up/down/left/right navigation through the menus is mostly the same as the standard menus, using the same dials or [↑]/[↓]/[←]/[→] controls. Many options have multiple settings; [Set] moves forward through the settings, sequentially; the [Play >] button is used to move backwards through the list. 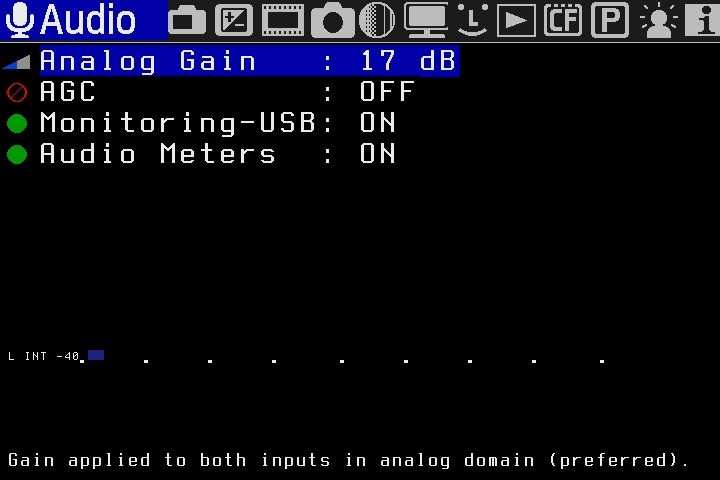 Some settings toggle off/on and can be further configured via the [LiveView] button. There are help description screens for each menu item; press the [Disp] button to see them (you might need a magnifying glass to read them though). The [Menu]button toggles between the full menus and shorter ones. The shorter ones exclude, mostly, the settings related to Live View, video, and audio related features; so if you use the camera for its traditional use, you can probably simplify matters with the abbreviated menus, once you’ve configured them. Here are are some of the features I am excited about. Long night shots (that I wrote about before) sometimes require longer than the 30 second limit that Canon has built into most of their cameras. That means using the camera’s Bulb setting and manually holding the shutter open. Magic Lantern’s “Bulb Timer” feature allows you to preset a duration for the shutter to be held open in while in mode—relieving you from having to hold the button for minutes at a time. The bulb setting keeps the shutter open as long as the shutter button is pressed. The term is a hold over from the beginning days of photography that allowed the shutter to be opened for as long as necessary for the photographer to light the flashbulb. 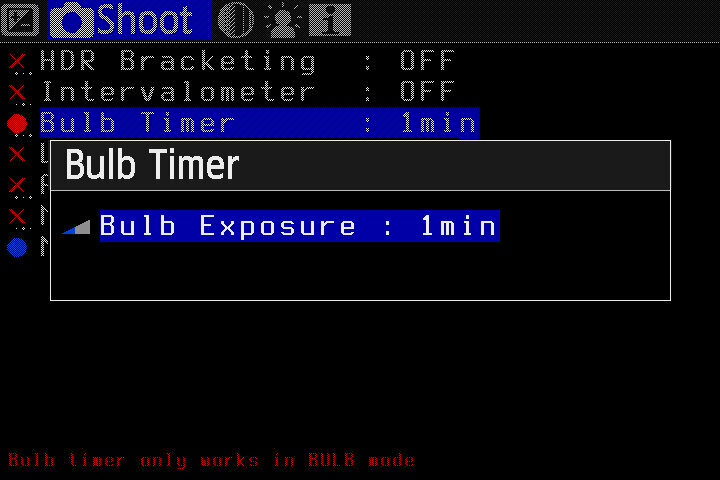 You can get to the bulb setting on a Canon dSLR by setting the camera to Manual mode and scrolling past the slowest exposure time setting until the screen shows “bulb”. If you are in the habit of bracketing your exposures (like when planning an HDR composition), then you may have to go through several mechanations to set up the camera to shoot them. 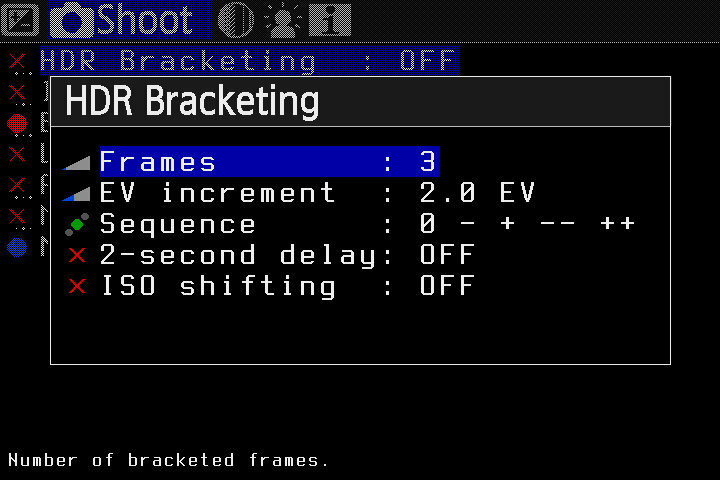 Then more settings to allow you to shoot them sequentially, with a single press of the button. The “HDR Bracketing” feature lets you do that in a single setting. It also allows more shots and a wider range of exposure bracketing than the camera’s standard settings. Using the LCD to check detail… Fast! You can press and hold the [+] button when viewing an image on the LCD panel to zoom in and check picture sharpness, but you have to press and hold or press, press, press to zoom in. Setting the “Zoom in PLAY mode” to “Fast” allows you to zoom much more quickly (or zoom immediately to the pixel level), making this a more useful feature. Nikon dSLRs have had intervalometers built in for a long time. With Canon, you have to buy a separate (not cheap) plug-in. Magic Lantern allows some very powerful setup (not all of which I understand, completely) to enable to camera to take a timed sequence of pictures—for days, if you want. Make sure you have a fresh set of batteries (or, better yet, an AC adapter)! Rather than relying on the self-timer or buying a Canon accessory to remotely trigger the camera, you can use the microphone to listen for a clap which will take the picture. (I don’t take pictures of myself, but it seems like this could be useful—or fun, at least). The “Focus Trap” feature will trigger the camera to take a picture, once a moving subject gets within focus range. Perfect for certain kinds of sports (I can’t wait to try this out). There are a bunch of LiveView, movie, and audio settings. I don’t use those features much; they seem useful and powerful… we’ll see. When removing a card, watch the LED to see that it is not locked up (looking for the software on the card). If this happens, you need to remove the battery, briefly. When the camera comes out of sleep mode, it takes about 3 seconds—on my camera—for the Magic Lantern features to be recognized. Adding the Magic Lantern firmware to your Canon camera unlocks capabilities that are available on more pricy models and adds conveniences for photographers that begin to probe advance photography techniques. There are few side-effects, so try it out, if you don’t like it, just reformat the card (or at least disable the cards boot-bit) and you are back to normal—in a pinch, you can simply put in a storage card that doesn’t have Magic Lantern on in it.